Simple opening shot. 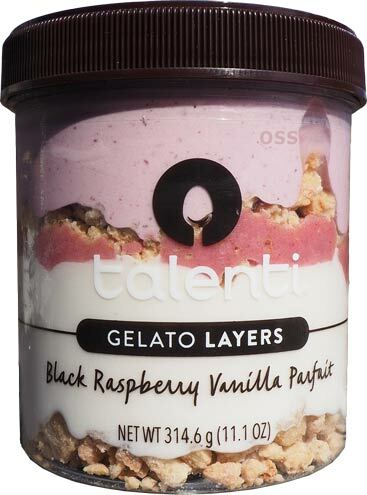 Let me jump ahead and say that this isn't the Talenti black raspberry gelato that I remember. 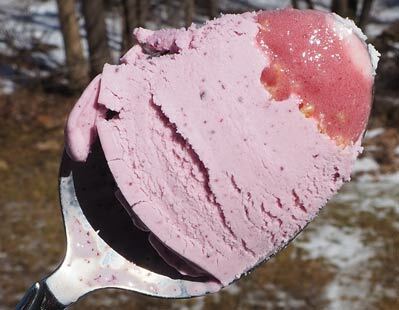 I remember something much more earthy, the one here is much more like a traditional sweet black raspberry flavor like you might get from other mainstream companies like Friendly's. Let me just say, I approve, but as an added disclaimer, it could be the blast from the blueberry swirl throwing me off. My thoughts are all over the place right now because I basically loved every bite of this. I was hoping for fun, but I didn't think it be so flavorful and sweet. I am impressed, plain and simple. [don't forget I was mocking them for their boring organic lineup that is coming out this year]. These are fun fun fun. It wasn't hard for them to win me over with two layers of oatmeal crisps, though I will point out that the upper layer of crisps is not well distributed. Also, technically it's a little cheezy that two layers are the same, but I really enjoyed the crisp and am happy they doubled up on it. Again, the swirl is quite potent and I love it. It's a bit.. "slushy"? What I mean is that it holds it's form, it's not gooping all over the place. 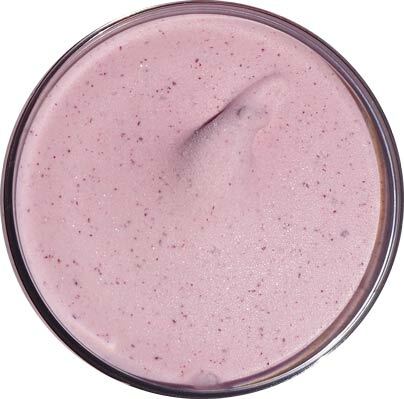 It's very sweet and adds a great vibrancy to the parfait. The vanilla on the bottom rounds things out, though you won't really taste it much over everything else. In fact, it kind of looks like whipped cream on my spoon. (I don't know if they messed with their gelato textures in these pints, it's definitely a possibility). So yeah, loved it, slam dunk, easy win, gotta try them. It feels like it's been awhile since Talenti hit a home run so all I will say is, welcome back! On Second Scoop: The swirl, it's all about the swirl making this one pop. A single component can make or break a treat and here that one component makers this one a winner. I tried the peanut butter one last night and loved it! 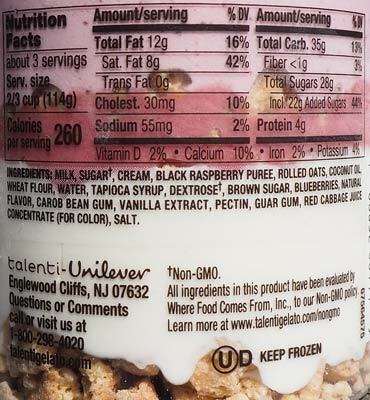 Talenti was on sale for $2.88 last week at Shoprite but I was saddened to see this wasn't included. Considering I never pay full price for ice cream I had a bit of stick shock for the $5.99. I loved the layers, and it reminded me of a gelato blizzard. Like you I never noticed the vanilla layer, but the fun peanut butter cookies on the bottom and sweet fudge swirl made my life. I would def buy this again, it's way more fun than their usual lineup! Your review is great, but I have so many unanswered questions....was it hard to get your spoon through all the layers to get a cross section at once? Is this meant for one person or can you eat some and come back later? Was it smaller than the normal talenti offerings in a noticeable way? Did you have to let it temper long before eating? What is your next flavor to try from this new grouping? This is also a "must find and try" for me as well! I haven't spotted it yet, but I've only looked at Target and Food Lion so far. Glad you're finally finding things you like again. Did the smaller size of these put you off at all or do you feel it's good value? It looks so good! I love the see thru container which is a win-win. 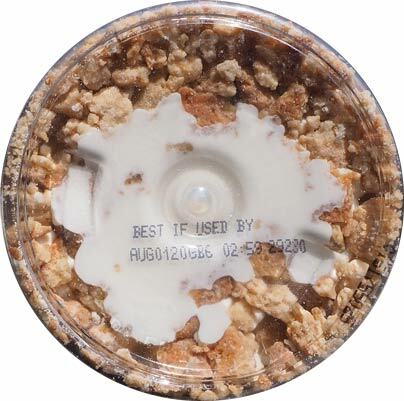 Love how it remains crunchy. Would be nice if they did in a single serving. YUM! @D: I liked paying $4.99 instead of $5.99, it helped a bit. @Anne: I have heard people complain that they can't spoon through it, i think they comes from the fact that the top layer is fairly thick. That said, I made it through with a spoon... a very large serving spoon! I've never really felt like Talenti needed tempering, but it's up to the eater. Vanilla Fudge Cookie will be up next. Food Lion should be getting it soon (my Hannaford = your Food Lion).